… the breaking up of the learning into chunks, then providing a tool/structure for each chunk. 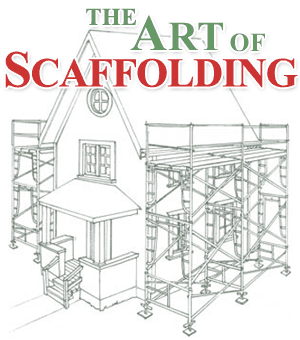 You scaffold the learning first with children and then for those who are still struggling, you can differentiate by modifying or making accommodations for the learning. Making sure that you show the outcome/product before they start; use for example, “think alouds” to model the process and decision making that you are doing. e.g. “think – pair – share” techniques. e.g. a graphic organiser which can be taken away next time. Great for checking understanding; questions need to be specific, guided and open-ended; give “thinking time” through what might be an uncomfortable silence. This entry was posted in The "Smart" questions facing education. Bookmark the permalink.